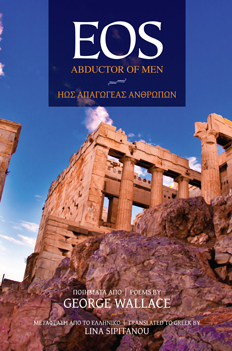 A bilingual (English-Greek) poetry collection by phenomenal flow poet George Wallace, dedicated to the contemporary struggles of the Greek People. In a bilingual collection (Greek-English) dedicated to the contemporary struggles of the Greek people, George Wallace rivets readers with his thoroughly original, modern day beat flow, elevating bakeries to the temples of gods and love to a powerful river. “Like no other poet you’ve read before…Wallace doesn’t want to simply remake the conventions of the contemporary free verse poems as we understand them; he seems to want to remake the reader herself, to alter her aesthetically and psychologically,” says Terri Brown-Davidson, Pedestal Magazine. With stunning translations to Greek by Lina Sipitanou, this book is like no other you’ve read before. A post-modern poetic “On the Road” that feels like music and offers a surreal trip into what’s left of the American heartland. Poppin’ Johnny: New American Poems by George Wallace is a stunning collection by a poet whose work recalls the conversational diction of the Beatniks, but with an absolutely contemporary flavor. Known worldwide due to his broad-based internet following (for years, Wallace has posted his poems online almost daily), Wallace has selected more than 70 poems for this collection, presenting a panorama of modern-day Americana. As original Beatnik musician David Amram notes, “Jack Kerouac would have loved him.” This book is heartily recommended to anyone who wants to get a glimpse the possibilities of the American mind in contemporary society: driving, loving, lusting, observing, failing, succeeding, and above all, living and continually seeking the ideal of freedom. “George Wallace has written the quintessential American book of poetry. 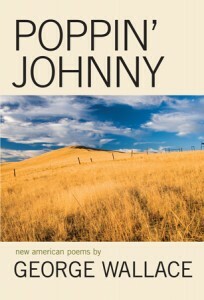 The poems in his new book Poppin’ Johnny New American Poems lift off the pages like so many warm-colored hot air balloons in the middle of an Iowa cornfield. And while they glide over the American checkerboard of fields and farms, these poems also hover over the urban streets of American cities where they take in the smells of restaurants brimming with working people as the sun rises, the rough textures of alleys at night and the blue-denimed boys who ride subways, and others who fling fish guts for a living.” by Lenny DellaRocca. Read the full review of Poppin’ Johnny at Greenwich Village Gazette. George Wallace (AB, MPH, MFA) is an award winning poet and journalist from New York who has performed his work across America and in Europe. 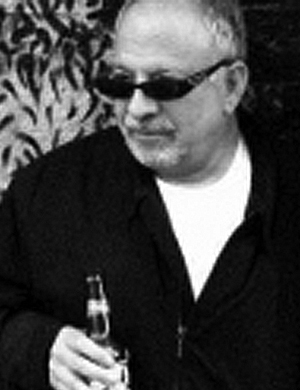 Author of Poppin’ Johnny (Three Rooms Press, 2009) and twenty-five chapbooks of poetry, he has served as editor of Poetrybay (www.poetrybay.com), Long Island Quarterly, Walt’s Corner, Great Weather for Media, and other electronic and hard copy literary publications. A former Peace Corps Volunteer, USAF Medical Officer and Community Health Organizer, he is winner of the CW Post Poetry Prize and the Poetry Kit Best Book award. With Oklahoma poet laureate Carol Hamilton he co-founded the Woody Guthrie Poets, and was named a “Next Generation Beat” by the Lowell Celebrates Kerouac festival committee. In 2003, George Wallace was named first Poet Laureate for Suffolk County, NY. In 2011 he was named Writer in Residence at the Walt Whitman Birthplace.